Self-Expression is a trait that very few animals present in nature, yet it is a cornerstone of modern human culture. No matter where you travel to on the globe, from Africa to South East Asia, self-expression and the art of showing off your style is an act that is always held in high regard. Knowing who you are as an individual is an important, and often time turbulent, rite of passage for all people from all corners of the earth. And so, the statement stands, life is too short to have boring hair. 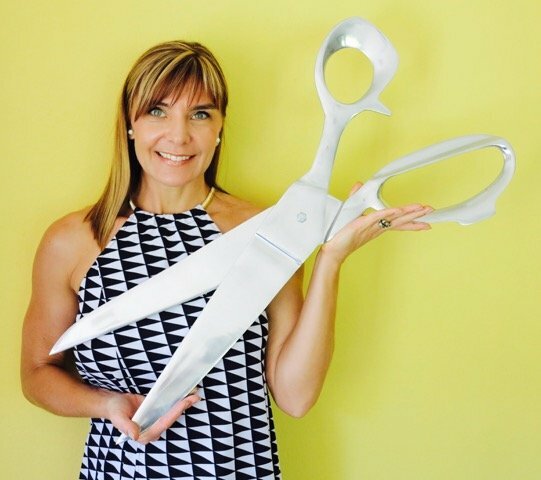 Over the years, I have worked in a wide variety of hairdressing salons, competed in numerous competitions and even hosted classes to new upcoming hairdressers, yet the one issue I have heard come up most, is hair management. Just as there are various differing colours to a rainbow, the same is true for types of hair. From straight silky hair to super thick and curly, and everything in between, each type comes with its own unique method to be cared for. Many people feel like their hair is controlling them, when in reality, it should be the other way around. You know how great your hair always looks after you’re done with a long (and often times expensive) session at your favourite hair salon? Then when you try and emulate that fresh wondrous look you can never quite achieve it? It’s all about using the proper hair care solutions to bring out the best that your hair innately has within it. Your prospective hairdresser most probably used several great products that suit your hair type, so why shouldn’t you do the same at home? Well the answer is, you should! Many clients at salons use their hairdresser as a pseudo-shrink, or to talk about the latest mishaps and gossip that may have happened in their community, but people often forget to ask about advice. If you yourself or anyone else you know may be struggling to get the desired look with your prospective style, then ask your hairdresser about how you can go about your daily life looking exactly how you want to by using the products designed for your situation. Remember, a good hairdresser shouldn’t only be good at giving great cuts and colours, they should be able to give out great advice on cutting techniques, home styling techniques and be knowledgeable on the current products out on the market. Having great looking hair is literally the easiest that it’s ever been before. With each passing year, more and more research into hair and hair products yield results that history can only be jealous of. So if you’re looking to change things up and start expressing yourself in new and exciting ways, then why not start with one of the easiest changes, your hair? I have always been passionate about hair and styling techniques and would love to share my passion with you! For an obligation free consultation where we will discuss all topics mentioned in this article, please contact me at 07 5525 3549.